On July 4th, my father Joe Perez died in an accident near El Centro, Ca while traveling back to Texas. He was our beloved father, husband, son, brother, and friend to many. He was born in Texas and moved to San Diego when he joined the U.S. Border Patrol in October of 1987 in the class #212. My Dad loved fishing and wanted nothing more than to take his kids and teach them his ways. He took pride in his BBQ business “Joe’s Texas Brisket” and made the best BBQ in town. You could always count on him to cater and donate his time for fundraisers at BP softball games or other charities in general. He had a rough exterior, but on the inside he had a heart of gold and wouldn’t hesitate to lend the shirt off his back to anyone in need. James Alan Ammon, age 41, of El Centro went to be with the Lord on Sunday, July 1, 2018. He was born in Lansing, Michigan on May 27, 1977. James grew up in Mid-Michigan. Always with a heart for God, he attended Ethnos 360 Bible Institute. After graduating in 2001 he met the love of his life, Beatriz Lopez, during a mission trip to Mexico. He later moved to Mexico, where he and Betty were married on January 7, 2006. They later relocated to California where James and Betty started their family and James became the proud father of David, Alan and Charlotte Ammon. During this time James also became a member of the Border Patrol. Always striving to share the Gospel and the love of Jesus wherever he might be, he worked hard, built relationships, was active in his church, and loved his family more than the words on this paper could ever express. A role model and an example to so many, we are all thankful for having the privilege of knowing him, for having seen his personal testimony until he went to be with the Lord, and for being able to see him again after this life because of our faith in Jesus Christ. Rest in God’s Peace James. Isaac Morales, 30, of El Paso, TX, passed away on Wednesday, May 24, 2017. He was born in El Paso, TX on October 15, 1986. Isaac is a graduate of San Elizario High School and Western Technical Institute where he received a degree as a Medical Assistant. He was a member of the CBP Explorer Program and had a passion for his work. Border Patrol Agent Isaac Morales succumbed to wounds sustained four days earlier when he was stabbed in an unprovoked attack in El Paso, Texas, while off duty. Agent Morales and several friend were walking to their cars in the 12000 block of Tierre Este when they were confronted by the subject. Agent Morales identified himself as a United States Border Patrol agent in an attempt to diffuse the situation. The man then attacked him with a knife and stabbed him in the eye. Despite the wound, Agent Morales chased the subject with several witnesses. The man was subdued by citizens and taken into custody by responding officers. Agent Morales was transported to a local hospital where he remained in critical condition until passing away on May 24th, 2017. Agent Morales had served with the United States Border Patrol for eight years and was assigned to the Ysleta Border Patrol Station. Isaac is survived by his parents; Mr. Ricardo Morales Sr. and Mrs. Dolores Morales. Sisters; Ana and Martha Morales. Brother; Ricardo Morales Jr. and Fiancée Jasmine Gonzalez. Agent Gomez entered on duty with the U.S. Border Patrol on 2/12/1996 as a member of class 299. He and several other agents were riding on McKelligan Canyon Road when Agent Gomez suffered the heart attack and fell from his bike. The other agents immediately began CPR and continued lifesaving efforts until medics arrived. He was transported to a local hospital where he was kept on life support until passing away the following day. Agent Gomez had served with the United States Border Patrol for 20 years. He is survived by his wife, three children, parents, and two brothers. Manuel Alvarez, an Agent out of the Casa Grande station, passed away August 11th, 2016 in a motorcycle accident while on duty. He and another agent were conducting a dirt bike patrol of rugged land when their motorcycles collided, causing Agent Alvarez to suffer fatal injuries. Manuel entered on duty July 17, 2003 with class 557. Agent Alvarez had served with the United States Border Patrol for 13 years. He is survived by his wife and four children. Julian Larranaga, 51, of Calexico, CA passed away on Tuesday, May 31, 2016. Julian was born on August 3, 1964 in Mexicali, B.C, Mexico. He married Patty Patino on October 5, 1991 in Calexico, CA. He worked as a U.S. Border Patrol agent for 24 years. He was preceded in death by his parents, Julian and Alejandrina Larranaga. He is survived by his wife, Patty P. Larranaga; children, Mayra A., Julian A., Natalia J.P. Larranaga of Calexico, CA; siblings, Maria Santiago, Martha Larranaga, Gloria Larranaga, Domingo Larranaga, Linda Rucobo, Alicia Larranaga and Lupe L. Ponce of Calexico, CA. Mikeal John Connors passed away peacefully in his sleep Friday, October 23, 2015, at the age of 54. He was born on August 16, 1961 in White Sulphur Springs, Montana to the union of Bernard and Kathleen Connors. Mike was raised on a farm and graduated from Laurel High School. He has worked as a Border Patrol agent out of Sonoita, Arizona for 19 years and resided in Sierra Vista with his much loved wife Diane and two German Short haired Pointers. Mike was an avid outdoors-man who excelled at every endeavor he took on. He was an exceptional hunter, fisherman, gardener, cook, athlete, artist and mechanic. There wasn’t anything Mike couldn’t do well. His greatest accomplishment was raising his two children. He was a father unlike any other. Before leaving, he instilled in them all the tools they would need to follow in his footsteps to become equally accomplished. He was a selfless man who enjoyed sharing his many talents with those around him. Mike had an outstanding ability to make everyone around him feel loved with his enthusiasm and charismatic personality. He was a truly honest, ever hardworking man, who will be dearly missed by many. Mike’s law enforcement career began at the Yellowstone County Detention Facility in Billings, Montana. There, he worked his way up to the Assistant Commander/Lieutenant position before beginning his career with the Border Patrol. After completion of the Border Patrol Academy in 1996, Mike went on to indulge himself in several different task forces that the patrol had to offer. First, he took on the role of being a firearms instructor. In this position he passed down his expertise of firearms to each of his trainees. Next, Mike found his true passion working as a canine handler. He quickly excelled in this task force winning multiple Top Dog awards with his canine Raiza, which lead him to passing his knowledge and passion down to future handlers. Some of the recognition's he received included his sincere dedication and exceptional contribution while instructing at the U.S. Customs and Border Protection Canine Enforcement Training Center, his enthusiastic initiative, going above and beyond the scope of his duties, willingness to pursue challenging and innovative ways of training dogs, and ultimately for his outstanding performance in the development and delivery of the Integrated K9 Concealed Human Narcotic Detector Dog Pilot Course. His guidance and leadership were distinct assets to each of the students who had him as an instructor. After the passing of his canine Raiza, Mike moved back into the field and quickly picked up the next task force as a S.A.M. (Supplemental Aircrew Member). Here he was a mobile Border Patrol Agent who assisted the pilot, operated the FLIR (Forward Looking Infrared Radar), GPS, moving maps, and other electronics. Before flights he would get all of the gear on the flight depending on the mission at hand, prepared the aircraft for flight and did it all with his own initiative and a humble, great attitude. This task force was only supposed to be for a couple of months, but after earning the absolute respect of the pilots, he stayed working on this task force for over five years. Pilots he flew with said he set the bar for the S.A.M. program. His amazing work ethic, compassionate nature, and utter selflessness have made him a legend among his peers. Mikeal is survived by his devoted wife of 31 years, Diane; loving daughter, Danielle Jozwiak and spouse Jay Jozwiak; treasured son, Bryan Connors with fiancé Diana Mendoza, and soon to be grandson; loyal sister, Michelle Steffans and spouse Tim Steffans; beloved brother, Mitchel Connors and spouse Cindy Connors; and kind stepmother, Becky Connors. Mike was also deeply loved, cherished, and adored by his large family of many in-laws, nieces, and nephews. He was a role model and mentor to all of us, as well as all of the agents and throughout the Border Patrol family. Those who knew Mike quickly fell in love with his compassionate spirit. Sean J. Sather, 47, passed away in Gallup, New Mexico on Saturday October 17, 2015. Sean was born to be an artist – he loved arts and crafts: painting, sculpture, wire art, photography, drawing and anything creative. After moving to San Diego with his wife Dana in 1998, Sean opened a vintage clothing store and ran an art gallery before becoming a proud Border Patrol agent for almost 13 years. Some of his hobbies included riding his motorcycle, looking at old cars, and being a loving father always there for his kids. Sean is survived by his wife of 23 years, Dana Sather (nee Shapiro), his daughters Rachel and Kathryn, parents Richard and Kathryn, brothers Eric, Scott and Keith, nieces Samantha, Kaitlyn and Sydney, nephews Brandon, Benjamin and Ryan, and many loving family, friends and coworkers. Raul January, 46, went to be with the Lord, Tuesday, October 13, 2015. Born in Brighton, Colorado, formerly of Katy, Texas, he lived in Mesa, Arizona for the past four years. Mr. January proudly served his country in the United States Marine Corps (Staff Sergeant), the United States Army (Captain, Retired) and was employed by the United States Customs and Border Protection as a Senior Intelligence Agent for almost 15 years. Raul was the most loving, caring, self-less, compassionate, family man who lived to serve God, country and family. Mr. January served as a Recruiter and Peer Support Coordinator for Border Patrol and a member of UTSA, Phi Delta Theta. A veteran Military Intelligence Officer (MI), he served in Desert Shield/Desert Storm and in Afghanistan. Raul is survived by his wife Ariza January; a son Ashton R. January; his parents, Mary Lou and Timoteo Flores, Jr.; four siblings, Cynthia Ann Kimble, Ishmael Timoteo Flores, Rosalba Sharp and RJ Martinez; numerous uncles, aunts, nieces and nephews. Rogelio Felix of Yuma, Arizona was born in Downey, California on May 27, 1976. Died on March 3, 2015 in Phoenix, Arizona. Rogelio was a United States Border Patrol Agent. Leaves behind his wife Alma Aracely Felix and sons Rogelio A., Aayden O. and Gale Felix. 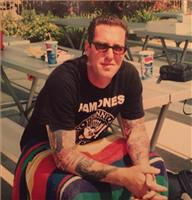 Mr. Saul Herrera was born on February 20, 1969 and died suddenly. 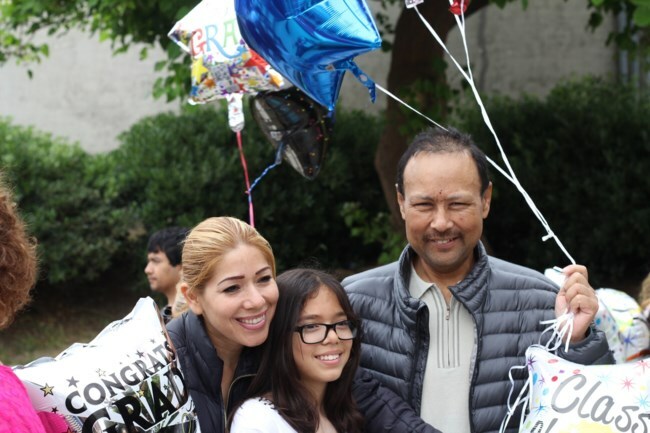 His parents Jesus and Natalia Herrera precede him in death. He was a native of Brownsville, Texas and graduated from Homer Hannah High School in 1988. He immediately joined the Army and is a veteran of Desert Storm/ Desert Shield and participated in the Noriega invasion and capture. Saul married Lilly Cortez of Sebastian on February 28, 1998. They lived in Harlingen, Texas until his employment with the US Border Patrol in 2002. He was stationed in Casa Grande, AZ until December 2011 where he then transferred to Hebbronville station. He is survived by his wife Lilly Cortez, children John Cortez of Harlingen, Texas, Will Ramirez, William and Julianne of Bishop. Also surviving him are his precious grandchildren Antonio Ramirez of Casa Grande, AZ and Johnlyn Cortez of Harlingen, Texas, brother Benito Vasquez and sister Maria Franco. Saul is now joined with his grandson Johnathon Cortez in heaven. Barrett C. Blick, age 35, passed away January 2, 2015 in San Antonio, Texas. He was born October 5, 1979, in Lansing, Michigan to David and Cheryl (Ward) Blick. Barrett was a youth pastor and active in missionary work in the Rio Grande Valley, where he met his wife, Lissette. He had a tremendous gift to light up a room with his "larger than life" personality. His drive and desire to serve the local church and reaching out to the young people was a beautiful gift he gave to his community. He later joined the Army and their first child was born in Germany. After returning to the United States, he applied and was accepted to the U.S. Border Patrol where he served out of the office in Uvalde, Texas. Barrett served as Chaplain in the Border Patrol and was known for his compassion and always wanting to help others. He was a devoted member of Westover Hills Assembly of God. Barrett's boisterous laugh, perpetual singing, priceless dance moves, and captivating heart will always be remembered by all. He was preceded in death by one brother, Paul. Barrett is survived by his wife of ten years, Lissette; son, Tristan; son, Alizdarr; daughter, Lieselotte; mother, Cheryl Jenkins (Brett); father, David Blick (Gina); brother, Aaron Blick; and numerous friends and extended family. Border Patrol Agent Tyler Robledo was killed in an automobile collision on FM 2644 near Carrizo Springs, Texas. His patrol car and another vehicle collided head-on at approximately 1:15 am. The driver of the other vehicle died at the scene. Agent Robledo was airlifted to San Antonio Military Medical Center, where he succumbed to his injuries. Agent Robledo had served with the United States Border Patrol for three years and was assigned to the Carrizo Springs Border Patrol Station. He is survived by his wife and two children. Javier was born June 17, 1978 in La Feria, TX to Javier Sr. and Marie H. Vega. Javier was a border patrol agent for 7 years with the canine division. Javier served his country as a member of the U.S. Marine Corps. Javier enjoyed spending time with his wife and boys. He liked to go fishing and was an avid runner. Javier also enjoyed his time with his Border Patrol partner, Goldie. Javier is survived by his wife, Paola Andrea Brown; parents, Javier and Marie Vega Sr.; sons, Javier Vega III, Jiovanni Vega, and Jarod Vega; brother, Jordy (Natalie) Vega; niece, Jordynn Vega; and his K-9, Goldie. Donald Eric"Pete" Brorsen, of Los Fresnos, Texas formally of South Wilmington, IL passed away Sunday, July 27, 2014, at home, after a courageous battle with Cancer. Born May 12, 1969, to the late Lana Corneglio Brorsen and Don (Lois) Brorsen Of Houston,TX. Donald was raised and educated in the South Wilmington Grade School and Gardner South Wilmington High School. After attending Western Illinois University, Donald joined the US Army in which he served 8 1/2 years doing tours in Korea, Panama, Bosnia, Kansas and Georgia. Later Donald attended the academy and gained employment as a Border Patrol Agent and trainer with Homeland Security out of Brownsville, Texas (also Montana, Arizona & New Mexico). Survived by his wife Cheri (Couch), 4 children: Nathan, Daniel, Elijah, and Anna-Elizabeth all at home in Los Fresnos. Siblings: Cami (Tim) Parks, Carrie (Tim) Taylor of Dwight and David (Lynn) of Plainfield. Bryan (Alison) of The Woodlands, TX & Micah (Amanda) Of Crosby, TX, Amber (Dean) Littleton, Knoxville, Tennessee. Nephews and Nieces: TJ Parks, Mark Taylor, Olivia Lambert, Brenna, Brady, and Eden Brorsen, In-Laws David (Gloria) Couch of Carrolton Ga. Also survived by many Aunts, Uncles and Cousins. Proceeded in death by His Mother, Maternal Grandparents: Lawrence and Carrie (Muzzarelli) Corneglio, Paternal Grandparents, Earl and Marie (Jepson) Brorsen, Special Uncle Lawrence "Larry Lee" Corneglio. Memorials can be made to the family for a education fund for his children. In Care of Cheri Brorsen 1944 Baja Circle Los Fresnos, Tx 78566. 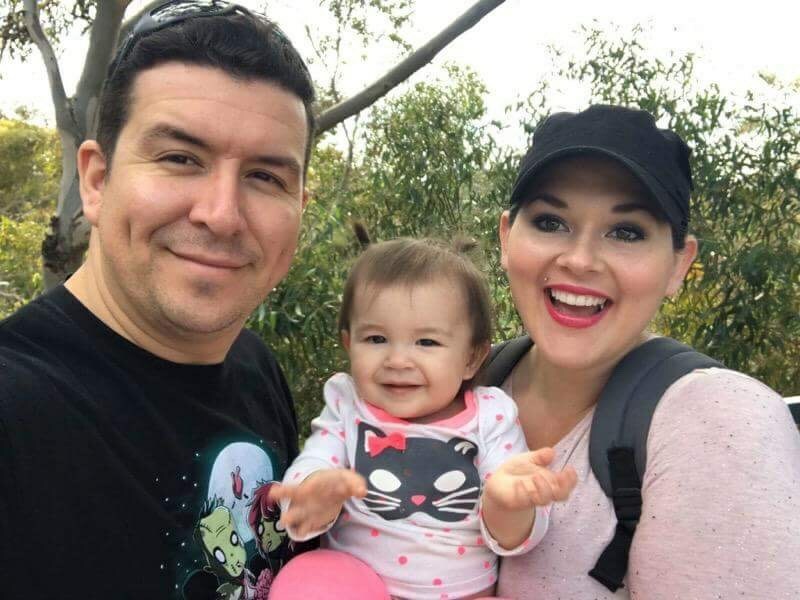 Border Patrol Agent Alexander Giannini was killed in an automobile accident on I-10, near Sybil Road, near Benson, Arizona, shortly after 7:30 am. Agent Giannini and another agent were traveling eastbound on I-10 when their vehicle was involved in a collision. Agent Giannini was flown to University Medical Center in Tucson, where he succumbed to his injuries. Agent Giannini had served with the United States Border Patrol for five years and was assigned to the Willcox Station. He was survived by his parents, sister, and fiancee. Greg was a successful United States Border Patrol Agent stationed in Douglas, AZ and was a dedicated member of the elite Quick Response Team. His ultimate dream was to be part of BORTAC (Border Patrol Tactical Unit). He was also a proud veteran of the U.S. Coast Guard, where he was stationed at Marblehead, OH. Greg was a 1998 graduate of Tipp City High School and attended Sinclair Community College, where he was in pursuit of his desired passion of cars. Most of all Greg set the standard of fatherhood; he provided strength and wisdom and always set the example. He was dedicated to family and friends. Without question, he would do anything at a drop of a hat for anyone. He had an infectious smile that will never be forgotten. Greg was an amazing, loving husband who will be deeply missed and loved unconditionally forever. His love and strength was embedded and will be carried on forever.